Paul Wiseman, with more than three decades of experience within the tourism and hospitality industry, has recently finished a 17-year senior executive career with the Travel Corporation to found his own company dedicated to developing learning solutions for the Travel Industry. For the past 10 years, as President, Paul guided Trafalgar and grew the iconic travel brand through strategic partnerships across the United States. Wiseman’s passion for travel was ignited more than 30 years ago having served as a travel consultant within a leading travel agency in Australia. From there, he expanded his travel experience through roles within regional airlines and tourism boards including the Hawaii Visitors Bureau before joining Avis Rent-A-Car to head up Travel Industry Sales. He joined the Travel Corporation Group of companies in 1999 as General Manager of Contiki Holidays, the worldwide leader in vacations for millennials. He then joined Trafalgar in Australia as Managing Director before relocating to Southern California in 2007 as Trafalgar’s U.S. President. Based on his extensive travel experiences throughout Europe, Great Britain, North America, South America, Asia, the South Pacific and the Middle East, he believes travel is an invigorating, refreshing, personal growth experience that should not be missed. 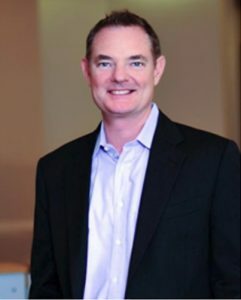 Wiseman’s personal appetite for travel experiences combined with his passion for sharing lessons learned at the frontline aligns with his new company’s mission to partner with travel industry individuals and organizations to deliver tailored learning programs to grow sales and promote leadership excellence. Wiseman holds a Master’s Degree in Tourism Management from the University of Technology, Sydney, and graduated from the Senior Manager Development Program at the Australian Graduate School of Management.